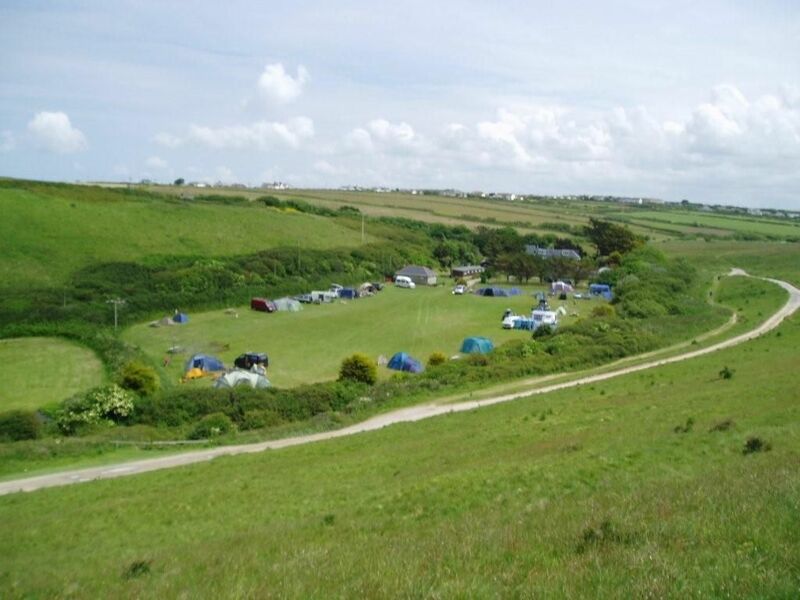 Higher Moor offers traditional camping in a wonderful location. There are 22 pitches all of which are widely spaced with the majority around the perimeter of a 2 acre level field. This ensures there is never a feeling of overcrowding, and allows plenty of space for the children to let off steam. Each pitch has its own picnic table. 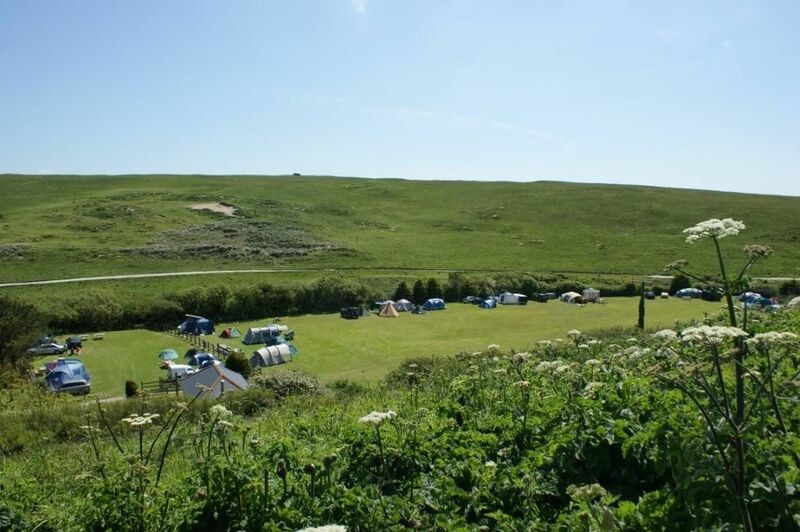 There are two toilet blocks providing excellent facilities including a washing up area, freezer for freezer blocks, laundry room and disabled toilet and shower. The site nestles at the bottom of a valley with the slopes of Cubert Common rising on its south side. 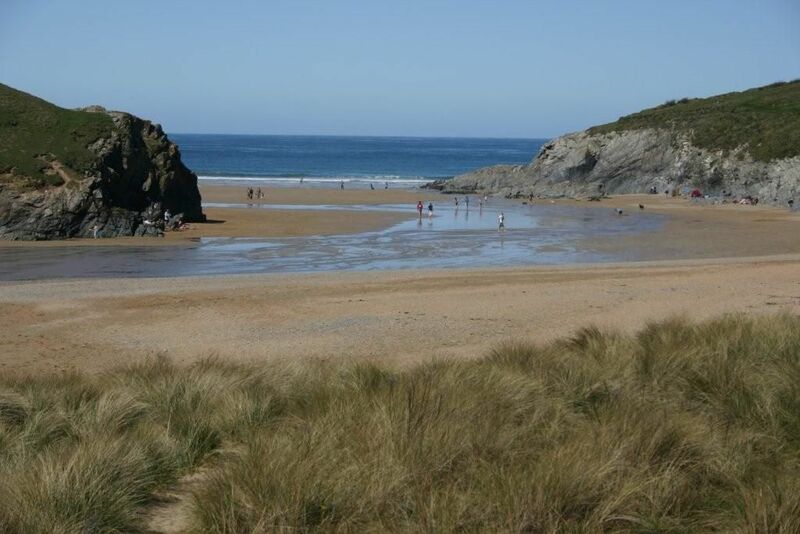 To the west lies Porth Joke beach, a gentle 15 minute stroll away, while the wide expanse of Crantock Beach is also within easy walking distance. 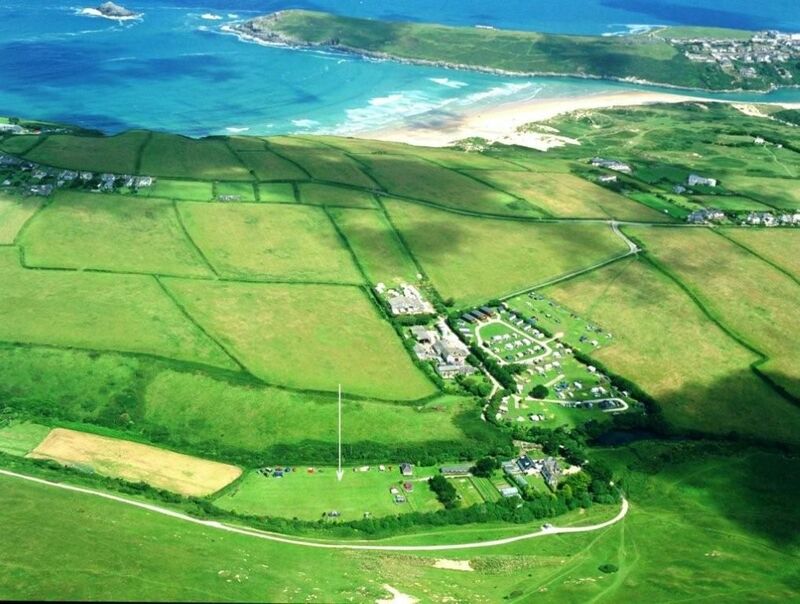 The village of Crantock with all the usual amenities, and the hamlet of West Pentire are within half a mile. 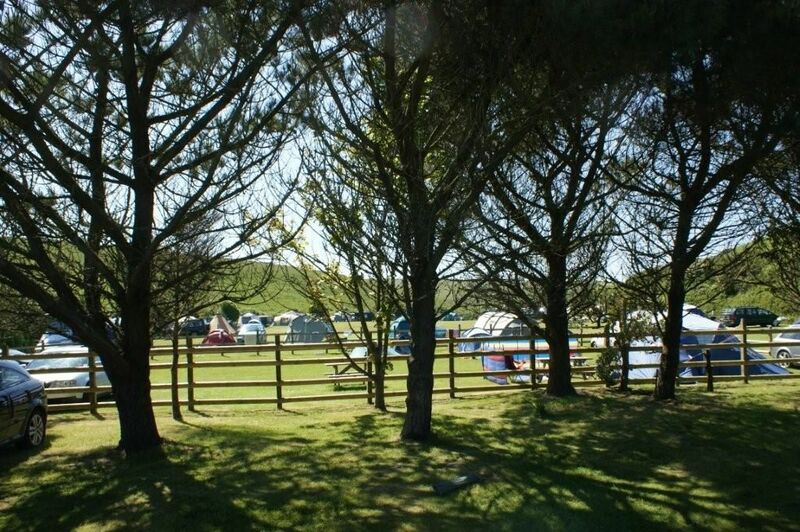 Our campers are welcome to use the Camp Site shop and bar at the nearby Treago Camp Site, while fresh salad produce and vegetables are available at Higher Moor. No charge is made for children under 2. During the peak school Summer holidays there will be a minimum charge the equivalent of 2 adults & 2 children per pitch. Part weeks will not be bookable between 13 Jul and 31 Aug. Call us to check availability for dates not shown.